Now that spring is here and summer is approaching, you might want to start thinking about how you can save money on your electric bill. According to the trend of the electricity market, the incoming summer season is considered as the peak cooling season. Since the temperature is at its highest, people would be using their air conditioning units more to help cool the inside of their house. That means we can expect the energy consumption of the average American household to be high. While there is nothing we can do about the seasons, we are still in full control of how we consume electricity in the next couple of months. You need to start planning as soon as possible – even while it is still springtime. During this season, the demand for energy decreases. Since the weather is perfect, you can give your cooling system a break and look around your house to determine how you can save money on your bill. With the rising cost of living and stagnant growth of wages, it is important for everyone to cut costs wherever and whenever they can. Do not turn down the chance to save just because it is a small amount. Even the smallest savings can really help your overall household budget. When you add up the small amount, it can be significant when you consider the number of months that you can save on your electric bill. Besides, when you consume less energy, that can also be good for the environment. The truth is, your electric bill is not the most expensive part of your budget. In fact, it may not even be among the top 3. The most expensive part of your budget is usually your house, transportation, and food. Your electric bill may not even be a fourth of what you spend on your house. According to the forecast from the government, a typical American household spends an average of $426 during the summer season. That is around $142 each month. If you can save even $20 each month, that would mean a total amount of $240 saved for the year. It may not be a lot but if you use it to pay your high-interest debts or something similar, it can help improve your finances. But how exactly does the average American consume electricity? If you really want to save money on your electric bill, you might want to get to know what areas in your home consumes energy the most. 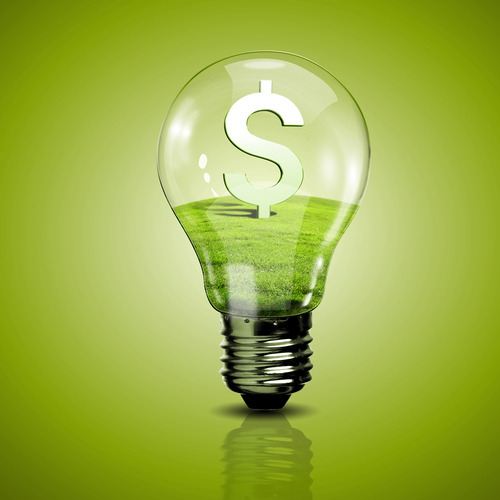 The truth is, your electric consumption is considered a small percentage of your expenses. The average American household spends $57,311 a year. The annual electricity bill of American households, at the most, is usually more than $1,700. That is not even 3% of the overall household budget. But even if it is a small amount, you should never pass up the opportunity to add to your savings. Now that you know what specific items in your house consumes the most energy, you can now come up with a plan so you can save money through your electric consumption. There are many ways to make your home more energy efficient. Most people think that to secure their financial future, they need to earn more money. What they seem to forget is that earning more is nothing if you do not know how to save money. If you earn more, you need to save more. That is what you should be focusing on. You do not earn more so you can upgrade your lifestyle. While there is nothing wrong with making your life comfortable, it has to be done with great consideration for your future. That means ensuring that you have enough savings to make your finances secure. When it comes to saving money, there are so many places to look into. You should never ignore a chance to save even if it is a small amount. Here are some of the options that you can do at home to lower your energy consumption and lower your electricity bill. These are the tips that you can use during the spring and summer seasons. Instead of using the cooling system, you should probably just open the windows and let the fresh air come in your home to cool the house naturally. If this is not possible during the day, at least do it at night – when the air is cooler. When the morning comes, you can close the windows and blinds to keep the cool air inside. There are window covers (curtains, blinds, etc) that can effectively trap the cooler air inside. That way, you do not have to make your air conditioner turned on the whole time. These covers will also help keep the heat out when it gets too high in the middle of the day. Any cracks, opening, and other damages in your windows, doors, and walls can make the warm air come into your home. Air seal your home so your cooling system does not have to work so hard to keep your home comfortable. Caulk or weatherstrip to seal leaky doors and windows. Another thing that you can do is to use a programmable thermostat – preferably one that you can use to automatically change the temperature in your home. Although it is warmer now, you might want to set the thermostat higher – but lower than the outdoor temperature. Make it comfortable, but you do not have to make it too cool. And if you plan to step out of the house, make sure you program the thermostat to a higher setting and only have it lowered before you get home. That will help lower the energy consumption so you save money on your electricity bill. While you are at it, you might want to look at the temperature that you will set on your water heater. This also consumes a lot of energy. Make sure it is at a temperature that is warm enough but not scalding – around 120 degrees Fahrenheit. If the temperature outside is not too hot, you might want to open the windows and use a ceiling fan. If it is too hot to do that, it is okay. You can close the windows and draw the curtains – but make sure you keep the fan open. This will help keep the air cooler without consuming too much energy. If the air conditioner detects the cooler air, it will not work too hard on cooling your home. There are also exhaust fans that can help remove the heat from some rooms. Make sure you know when to use it. A well-maintained cooling system will not feel the need to work harder than it has to. You need to ensure that it is cleaned regularly and does not have any damages. If it has, the unit will most likely consume more energy. Among the things that you need to inspect includes the air filter, evaporator coil, air ducts, etc. It is also important to check the appliances that are near your cooling unit. Try not to put heat emitting appliances and equipment near it. This will probably make the air conditioning unit feel like it has to cool the room more. Not only that, the furniture should not block the vents. When you cook using the oven or stove, that emits heat in the house. It will prompt your air conditioning unit to work harder. If you have to cook, try to do it before the hottest time of the day. That way, it will not make the whole house too warm. From the air conditioning unit to the lights and all the equipment and appliances, you might want to ensure that all of them are energy efficient. This will really make your electric bill smaller. Not only that, use your appliances properly. Use your washers only when you have a full load. Whenever you can, make use of the daylight. When it is not too hot outside, open the curtains so you do not have to open the lights inside. Or if you have a budget, you might want to have one of your rooms renovated so it channels the natural light from the outside. There are efficient ways for daylighting so it will not make the room too hot. And if you want dry clothes or dishes, opt to air dry them. If you have space for it, air drying will help you save energy. Use as many as you can from these list of tips so you can save money on your electric bill. Whatever you save can be used to improve your financial position through investments.